We will spend 30 minutes of one on one time with your precious pooch. Along with a walk, we will provide them with a little play time as well as refresh their food and water bowls. All pups receive a daily or weekly report cards for you when you return home! +$3.00 per additional dog per household. 45 minutes of one on one time that can include play time in the dog park of your choice. +$5.00 per additional dog per household. Stuck in Traffic or Held up at Work? Call us, we can run over and give your furry friend a quick walk around the block so you don’t have to worry. 10 minute walk. Heading out of town for the weekend and want to leave your dog in the comfort of their own home? We have you covered. +$20.00 for a Friday night walk. We can pick up your dog or groomer and provide them with a Doggy Daily Walk if they are finished for the day before you are. *Must be paid for in advance. We will spend 25 minutes with your kitty. During the visit we will feed them, give them fresh water, clean their litter boxes and give them plenty of love and play time! +$2.00 per additional kitty per household. *Ask about our new pup split sessions, ideal for crate training your new little ones! *Report Cards are left for you after any of these services. Follow up phone calls can also be provided per your request. *Your pet will also receive surprises on holidays and their birthdays! Cancellations must be made before 10 am on the day of the scheduled walk. If your walk is cancelled after 10 am you will be charged for 50% of the service. If PupTales arrives at your home and we can not gain access to your apartment/house you will be charged for the full service. Weekend Package Cancellations must be made 48 hours before the day of the first scheduled walk. If your walk is cancelled in less than 48 hours you will be charged for 50% of the service. Cancellations made less than 72 hours before holidays and holiday weekends will be charged for 50% of the service. Payment is due at the time services are rendered. If payment is not received a 10% late fee will be assessed. 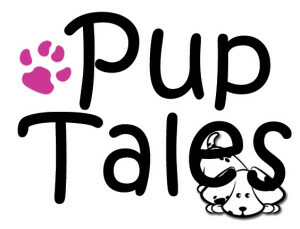 PupTales accepts cash and credit card payments via Paypal. PupTales has the right to refuse service to any client.